It is teacher appreciation week! I am excited, even though my school doesn't do anything to celebrate. I usually like to take time this week to reflect on why I became a teacher. I thought I would share my journey with you and if you are so moved, I would love to hear all of your paths to teaching! 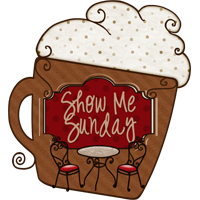 **Edited to link up with 3-6 Free Resources and their Show Me Sunday Linky! I come from a family of teachers. My dad is a vocational arts teacher in a very tough middle/high school just outside of Detroit. My mom is a preschool teacher. My older brother is a teacher. I was certain that I would never be a teacher! I always enjoyed learning and I was an avid baby-sitter when I was young, but I liked goofing around with kids, and I knew enough from my parents to know that being a teacher didn't have much to do with goofing around! I also didn't like school very much. You never would have known it- I tried to keep it a secret- but I didn't like my teachers! I knew that it was rude of me not to like them and I wanted to do well in school, so I pretended. I wasn't the type to draw pictures for my teachers or bring them little tokens of my affection. I just came to school, was quiet, did all of my work and was respectful. I did well through high school and then went to college where I did well but I didn't know what I was going to do when I graduated. I had my first thoughts of teaching when I was fortunate enough to work in an orphanage in Peru. Even then, my thoughts were of travel and not teaching so I explored teach abroad opportunities that didn't require a teaching certificate- but it wasn't right for me. Then I took a job as a nanny. It was a difficult job for me, not because of the little boy that I was in charge of, but because I struggled in my relationship with his mom. This little boy was in kindergarten and just going through the process of being diagnosed with autism. It was a stressful time for his family and since I was the one with him most often, I was the one who received the brunt of the stress. He definitely had major sensory issues that caused him to lash out at school. When I first began working for the family, he went to a private school attending half-day kindergarten. His teacher used a microphone in the classroom, when she was asked not to use it because of the sensory issues my little guy was having, she refused. It was disheartening to see how this school and this teacher could so overlook a child that needed her. I would pick my little guy up from school everyday and everyday I would get the same negative report. I truly felt like he couldn't do anything right at this school and he and I were both miserable! After a couple of months at the private school, he was kicked out because he hit the teacher. It was a sad day for my little guy and his whole family but they decided to send him to the public school near their house and they asked me to attend school with him everyday as a *volunteer* in the classroom. This is where I first thought seriously about being a teacher. My little guy had an amazing kindergarten teacher. She was so accommodating to him- and in allowing me to be in the classroom all day! He was allowed to stand up and move around when he needed to, he was allowed to complete his work in a marker which felt more comfortable in his hands, she spoke softly to him and didn't get angry or take it personally when he had his meltdowns. The problem was that even though his teacher was fantastic, the principal and specialist teachers weren't quite so accommodating. One day when my little guy was in art class (I stayed in the classroom to help the teacher) he had a meltdown. No one really knows why, but he did. He ran from the classroom and ran out of the school. I saw him running and called him back into the building- only to have the principal run out in front of me and grab him in a very forceful way. Putting your hands on him when he was in that anxious state wasn't the best idea and so he started to try and squirm and pull away. This only caused her to put him in to full restraint. I stood there and watched him and I saw the way his teacher was able to stand down the principal and calm down the little guy who was so shaken and upset and I though- I have to do this. I have to be a teacher. I have to be there to help all the other little guys/girls that come into my classroom because every child is special and every child needs a little special something to get them through the day. So now I am a teacher in a high poverty school where I can be the positive spot in a little person's life and I love every minute of it (most of the time)! *phew* That was a long (and dramatic) post! I would love to hear how everyone else decided to become a teacher- leave a comment or make your own post! Happy Teacher Appreciation Week! That's an inspiring story Julie. Just reading it makes me want to be a better teacher. Thanks for reminding us why we're doing what we're doing. I hope you feel very appreciated this week! What a great story! I love how you were inspired to become a teacher by your experience as a nanny. Feel free to link this to the teacher appreciation post on 3-6. I was surprised to learn that not everyone celebrates teacher appreciation week and I think it is just as important to hear that AND the stories for teaching!